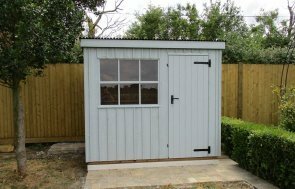 This classic 1.8 x 2.4m National Trust Felbrigg Garden Shed is a traditionally styled garden shed and was installed in Huntingdon, Cambridgeshire for use as a gardening workshop. 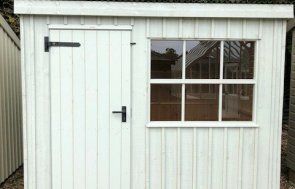 All our garden buildings, including our National Trust range benefit from free delivery and installation by our expert team, as part of our end to end service. The Felbrigg includes traditional features such as Vertical sawn boards, painted in National Trust Earl's Grey while corrugated onduline lines the apex roof and black cast iron door furniture decorates this traditional building. 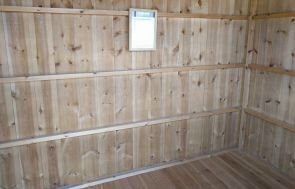 If you would like to find out more about our wider range of Garden Sheds, please request a callback from our team, Contact Us or call us on 01760 444229 to discuss the options available.